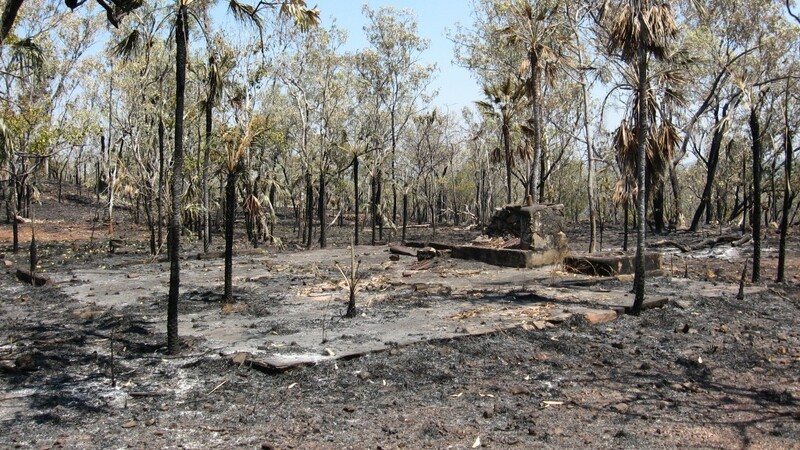 49 Mile is one of the most well known of the road side WW2 military camp sites in the Northern Territory and is prolifically signposted with both unit memorial signs as well as information signs from the Conservation Commission NT. 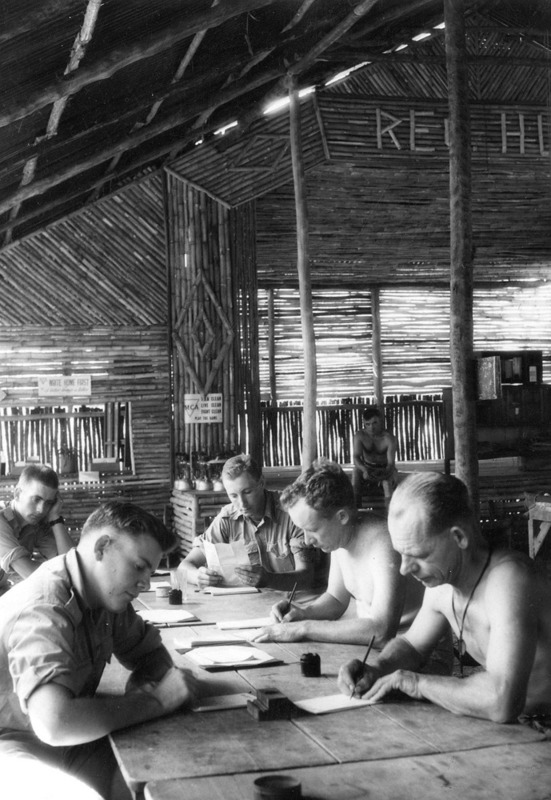 Located to the north of the turn off to Lake Bennett, 49 Mile camp was home to the 27th in 1942 and later to the 28th Infantry Battalions in 1943. (27th colour patch at top, 28th at bottom). Both were considered militia units at the time of their posting to 49 Mile. 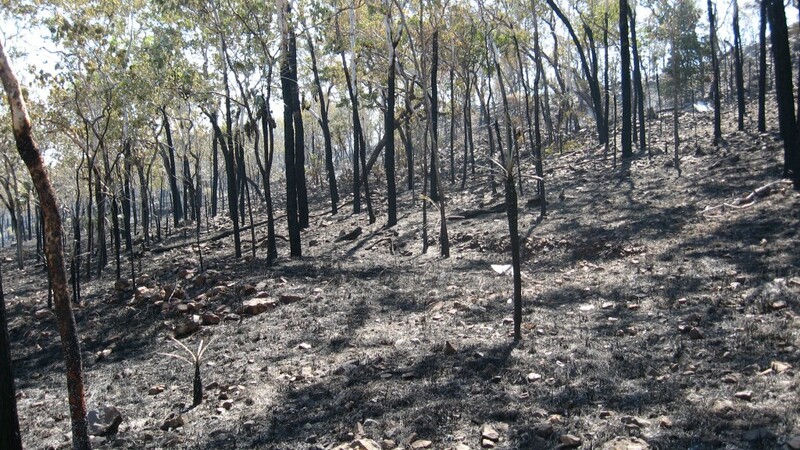 The camp is situated along the the ridge that runs north south. It is divided by a gulley that contains a small creek which runs through the center of the ridge line. 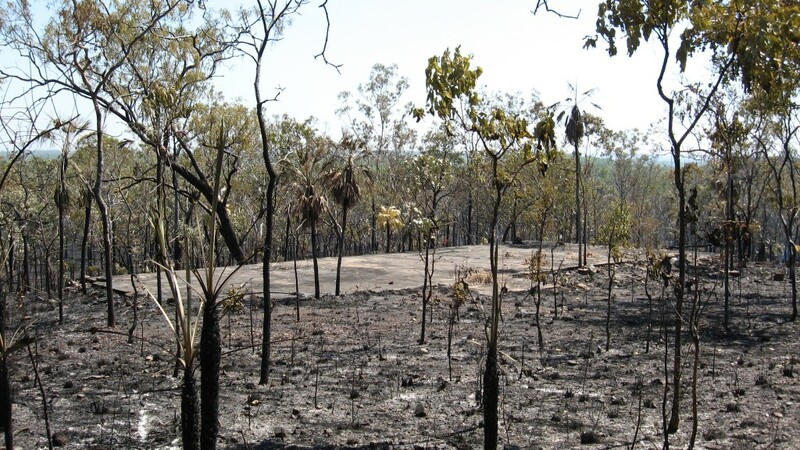 The site is in quite good condition due to its location and extensive remains exist over a large area. 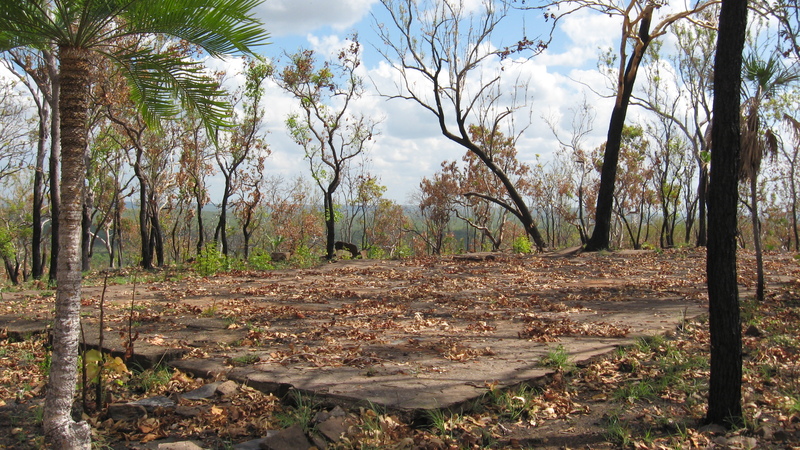 Showers, toilets, urinals, drains, generator pads, loading ramps, fireplaces, storage pits, angle trenches, kitchen areas, Anti-Aircraft positions, the remains of a cinema, a small rifle range, an obstacle course, stone pathways, tent/building foundations and terraces can all be found at this site. 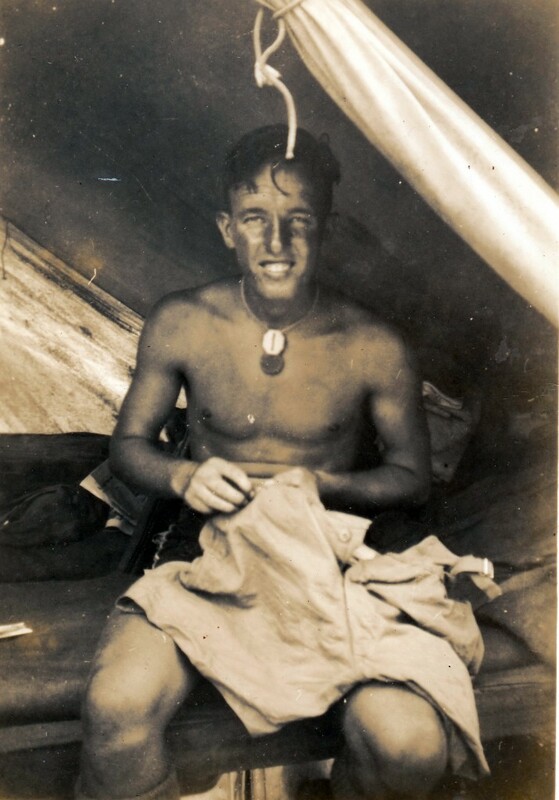 Ronald J. Halliday (S21356) of the 27th Infantry Battalion mending his shorts in his tent at 49 mile camp.Authors Collection, 2014. 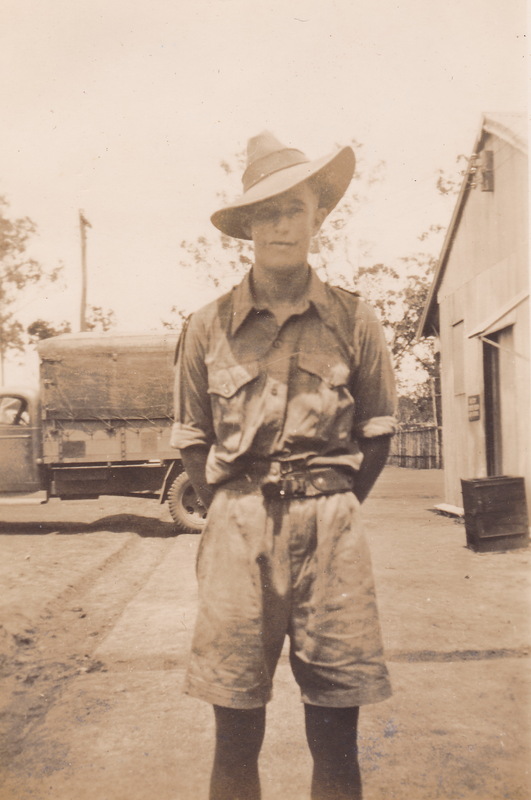 Special thanks to the relatives of Ronald J. Halliday (S21356) who have let me use these pictures on this website. A Map from the 27th Battlion War Diary from mid 1943 showing the ridge on the eastern side of the North South Road. The gully running through the center, wet weather huts, kitchen areas, the cinema and the YMCA hut can also be seen on this map. Looking east towards the 49 Mile Camp. 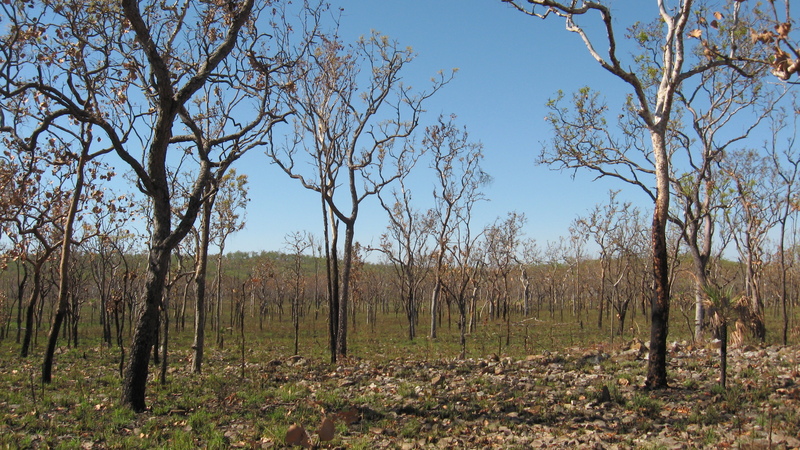 The ridge can be clearly seen in this photo. 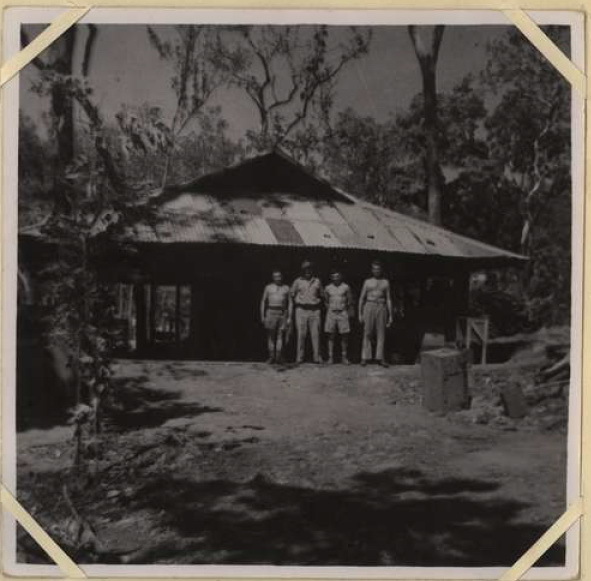 Soldiers of the 28th Infantry Battalion at 49 Mile camp in 1943. Note that the buildings have been constructed using local bush materials with the walls being built from cycad and sand palm trunks. The ‘cycas armstrongii’ and the ‘Livistona humilis’ are quite an abundant plant found in the area and proved to be good light weight construction materials. 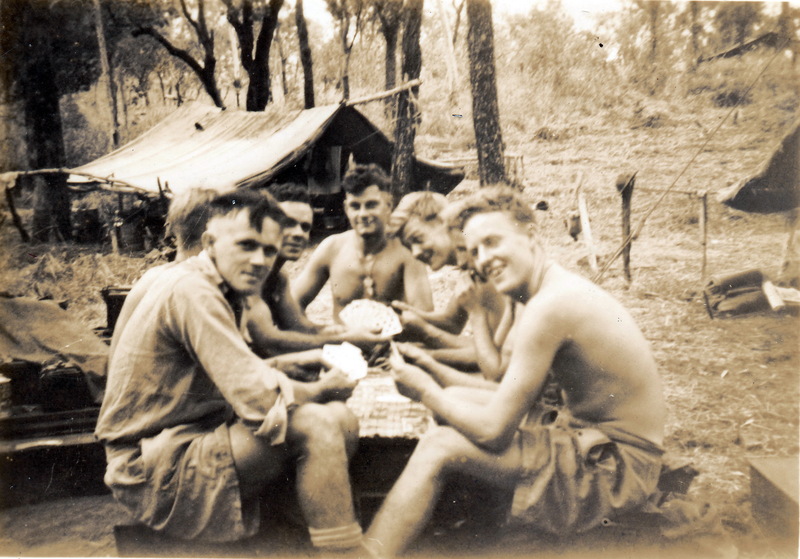 A group of soldiers from the 27th Infantry Battalion playing a game of poker at 49 Mile during the wet season. Taken by Ronald J. Halliday (S21356), Authors Collection, 2014. 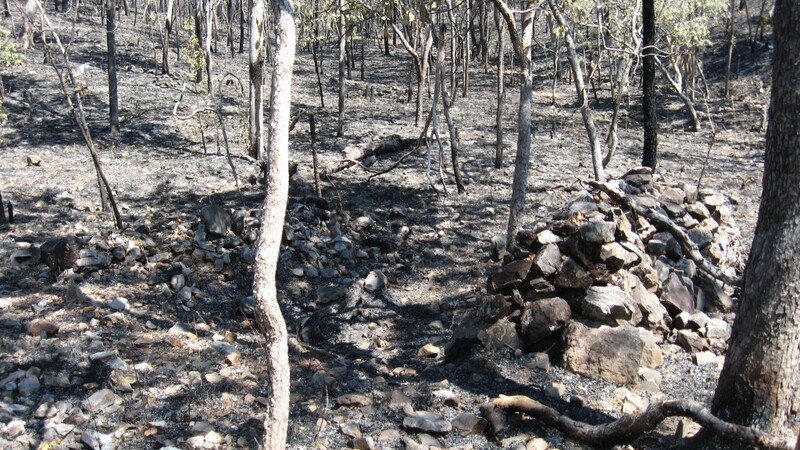 There are at least two remaining AA positions that can be seen at this site. 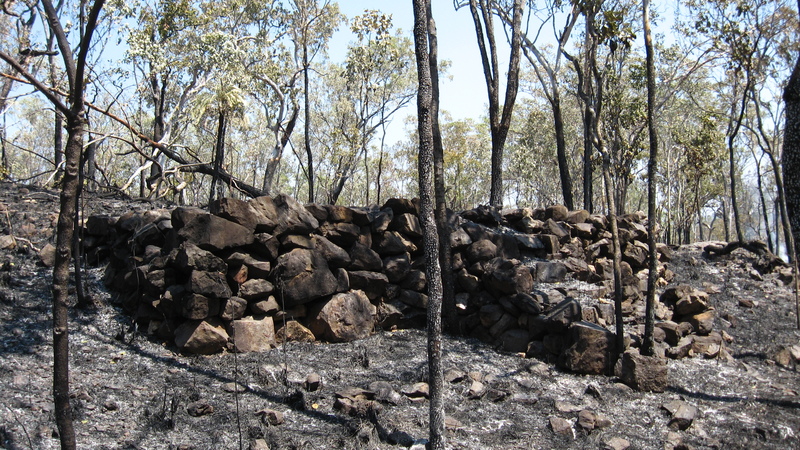 Both are constructed of rock and can be found on top of the ridge line, one on either side of the gully that separates the camp area. Both AA positions are circular in shape, with the northern one being larger than the southern one. Its is though that the northern position would have housed an em-placed M2 Browning due to its size while the southern position would have housed either a Lewis or Bren gun on an AA mount (see historic picture below). AA defence was paramount during the early days of 1942-43 when strafing enemy aircraft were a real threat. Looking down into the southern of the two AA positions at 49 Mile. The northern AA site which sits on top of the northern side of the camp. 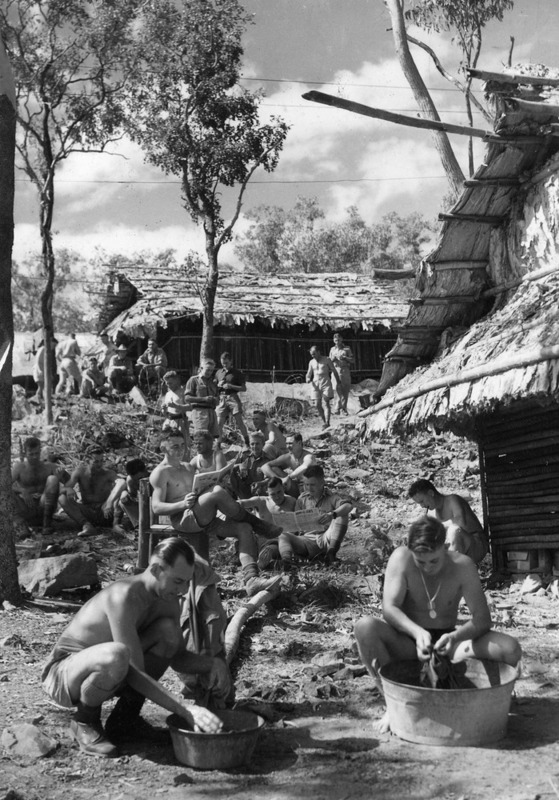 Soldiers of the 28th Infantry Battalion attending an open air church service on the Battalions parade ground on the western side of the North South road in 1943. The ridge line can be seen in the background. AA protection for this service is provided by a Bren Gun attached to an AA mount. 49 Mile has some very large building foundations. One of the biggest is located at the highest point on top of the northern side of the camp and commands fantastic views of the western approaches to the ridge line. 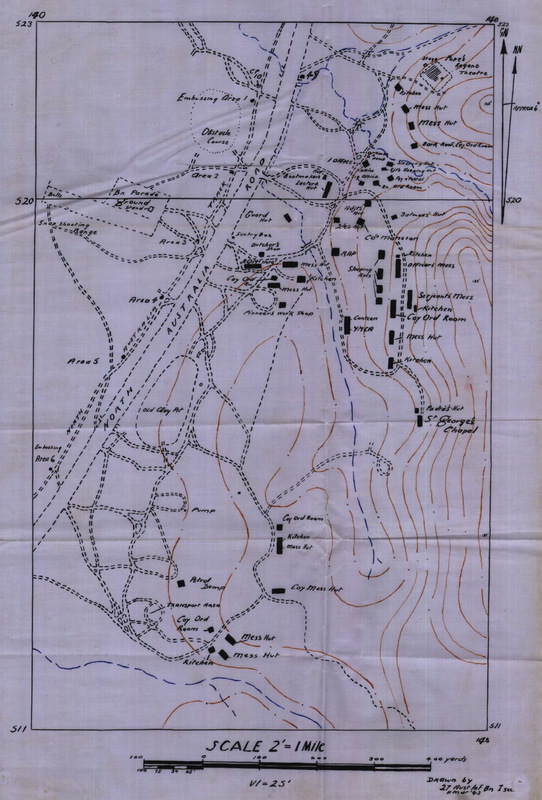 It has multiple room partitions and septic run-off areas and must have been a command and control or HQ building. Other foundations at the site include more command and HQ buildings, officers messes, sergeants messes, kitchen areas a church and even a YMCA building. Most of the building sites are located on the top of the hill or on its slopes and would have been termed ‘wet weather’ positions. Very large concrete foundation on top of ridge line. (This position of this foundation is actually very close to 48.5 Mile camp and hence am not sure which camp it actually belongs to). Another relatively large concrete foundation with multiple room partitions and is believed to have been the sergeants mess. 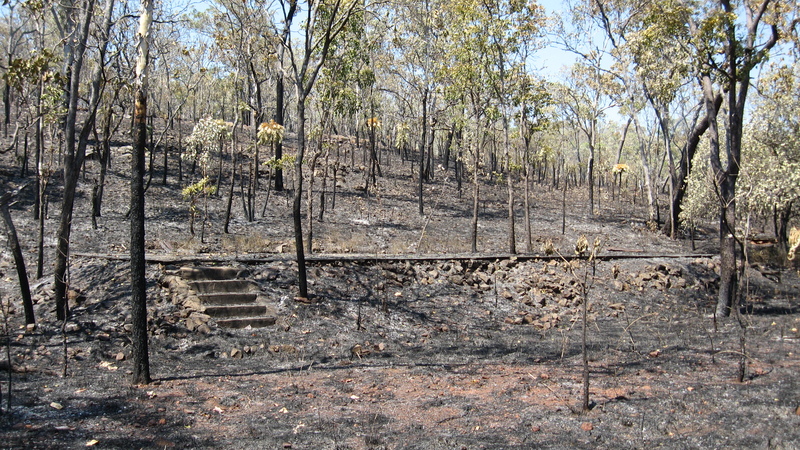 This is located in the southern part of the camp site. This foundation is what is believed to have been the officers mess. This foundations with stairs is that of the YMCA/Rec hut with attached canteen. 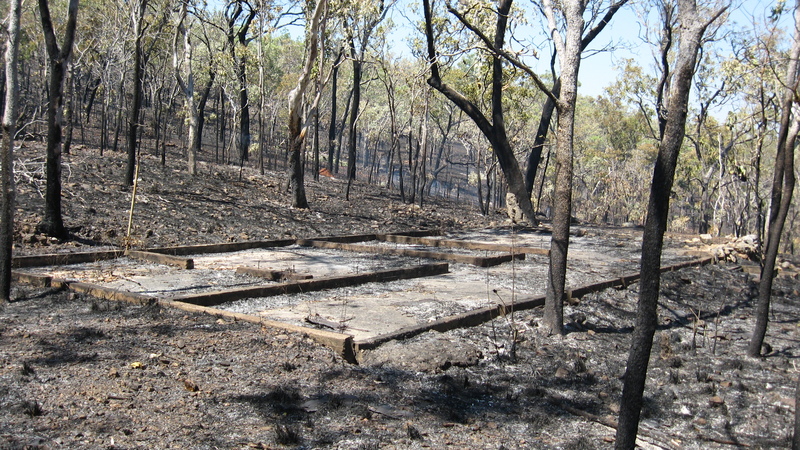 HQ Coy Kitchen foundation located in the southern part of the camp site. 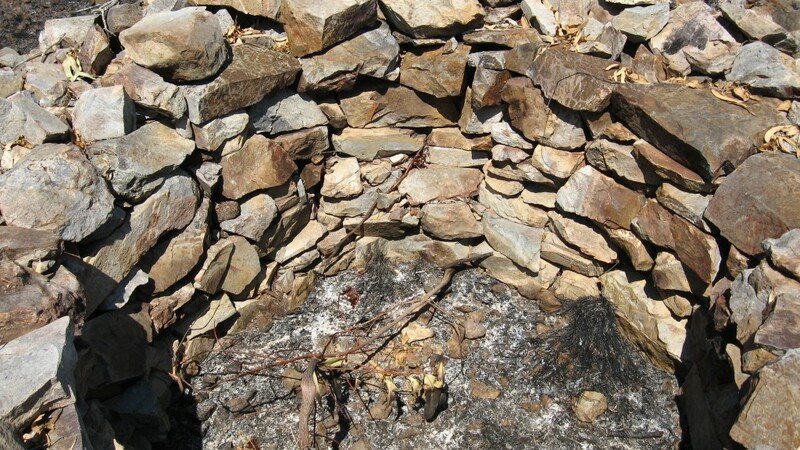 Part of the fireplace can be seen attached at the rear. 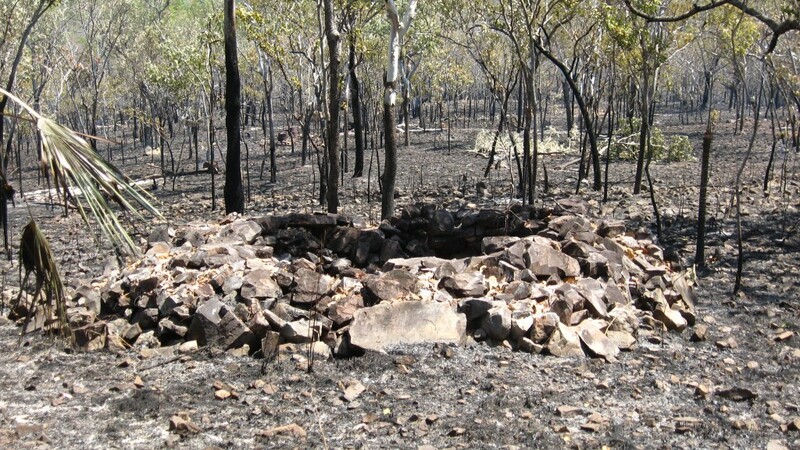 The remains of the same stove/oven. 2013. 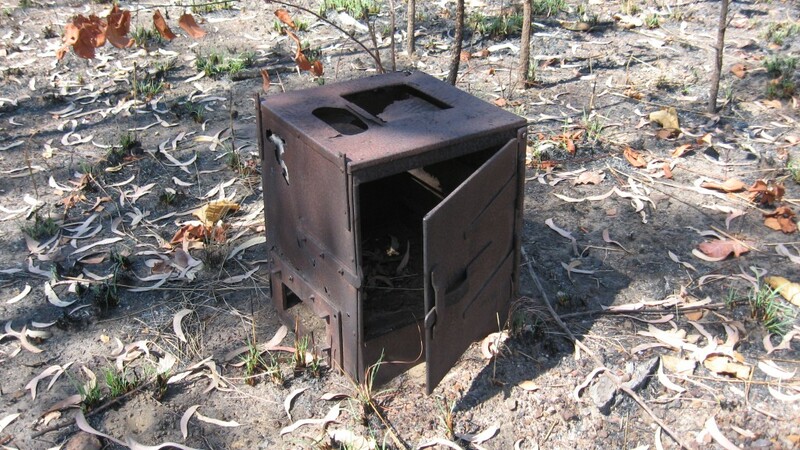 See same type stove to right of picture at Winnellie camp, 1941. Taken by Ronald J. Halliday (S21356), Authors Collection, 2014. Very well constructed tent terrace with stairs leading up to the entrance. A good example of a building constructed on a terrace at 49 Mile. 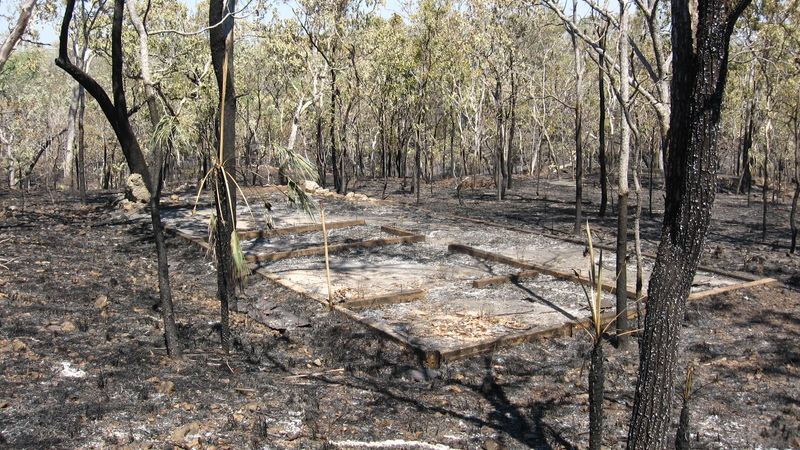 This particular building was located on the eastern side of the camp site on the side of a gully. AWM067905-Copyright expired – public domain. Sgt. C.H. COTTERELL and Driver A.J. 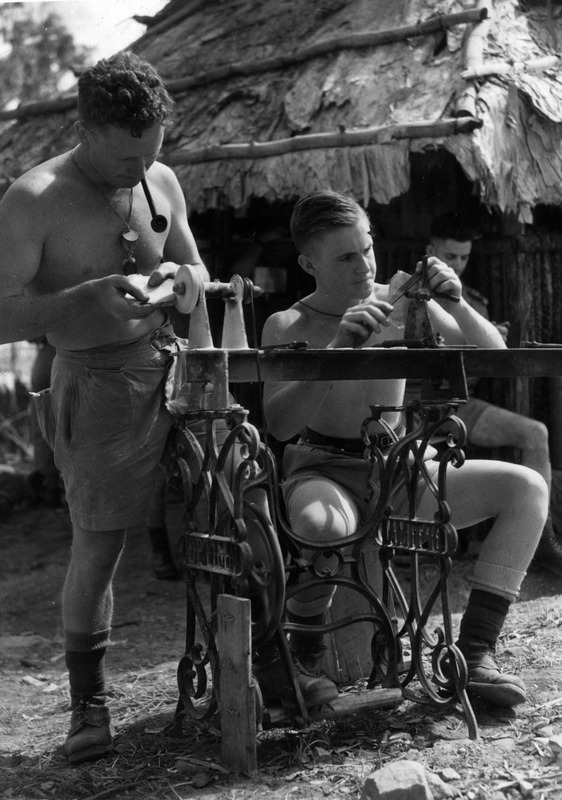 SOMERVILLE of the 28th Infantry Battalion creating ornaments from pearl shell from an old sewing machine which they have turned into a lathe. 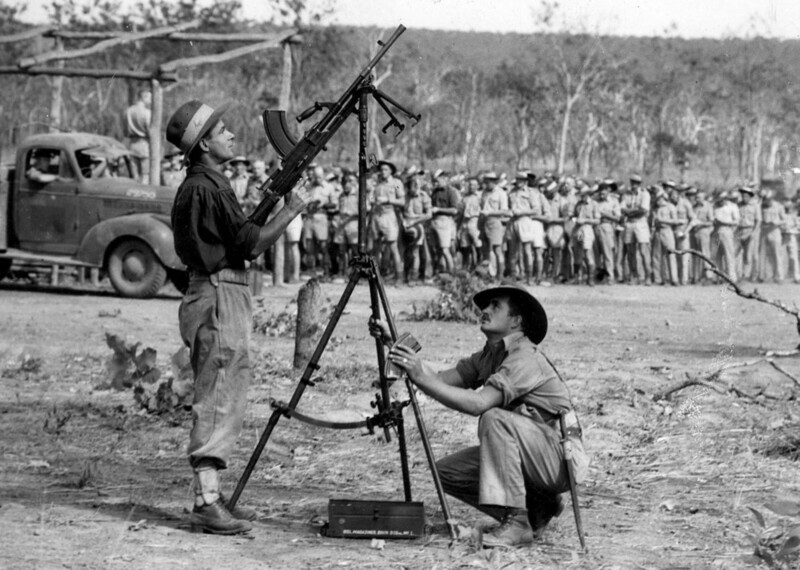 The creation of “trench art” from pearl and spent shell casings was a past time practiced by many soldiers in the NT who had little to do on during off duty periods. 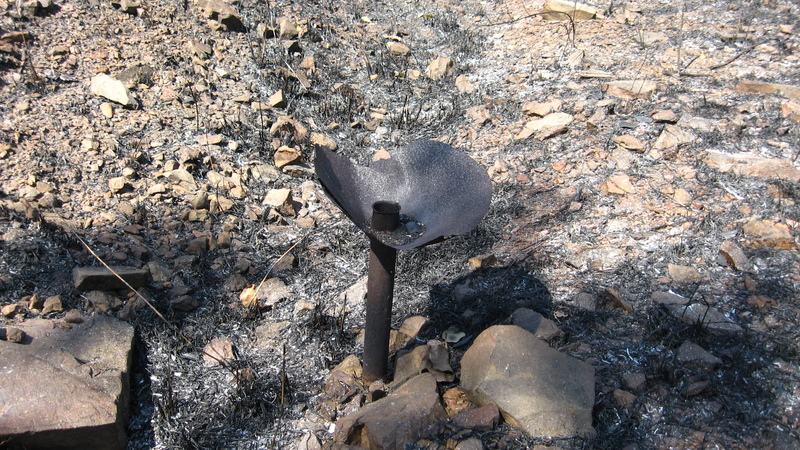 Pieces of Pearl shell, some with drill holes through them, still litter many of these camp sites. Location of St Georges Chapel in 2010. 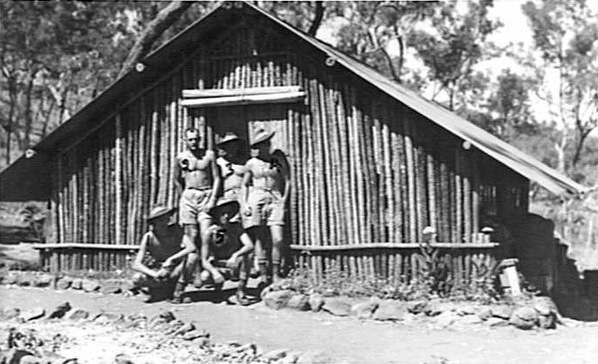 The Padre’s hut was located just to the rear. The famous ‘piss-a-phone’. This urinal was attached to a 44 gallon drum, or a pit, which was filled with rocks and lime and designed to keep the camp site sanitary. Located at the end of one of the gulleys at the site is a small rifle/pistol range. 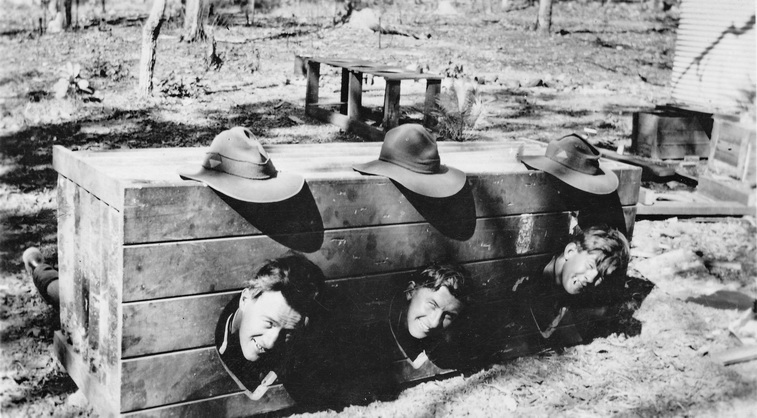 The range is located so close to some of the hut foundations that it must have been fun for soldiers allocated to these quarters. The butts from this range are pictured below. 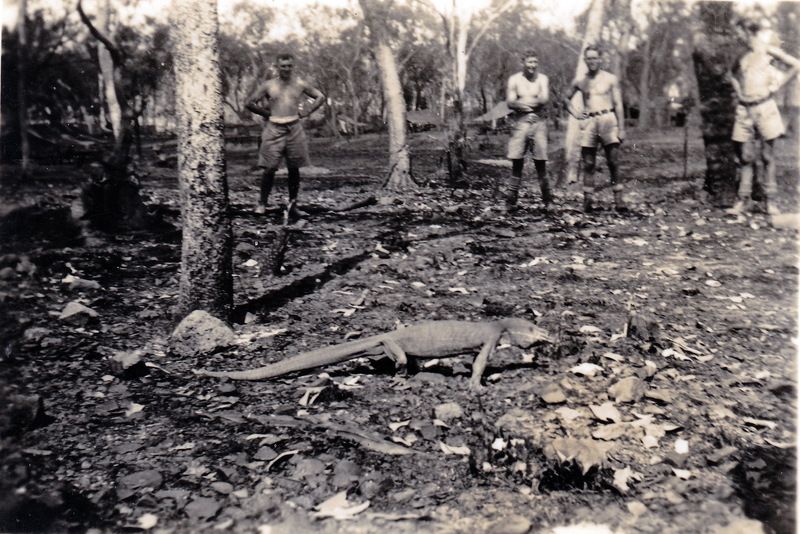 A ‘Yellow Spotted Monitor’ at 49 Mile Camp, 1943. These lizards are now under threat with the introduction of the Cain Toad. Taken by Ronald J. Halliday (S21356), Authors Collection, 2014.